So many essential nutrients in one glass. GREEN JUICE! A popular way to get in your greens. That’s why I like it, because although I do love salads, I don’t want to eat them everyday. And this juice I can easily have every morning. There are various types of juicers out there so if you are thinking about juicing often, do some research ahead of time to see which one is best for your needs. This article by Juicing with G has some helpful tips and info on choosing a juicer. Another great resource I used when searching was Jon Kohler and his YouTube channel DiscountJuicers.com and website: www.discountjuicers.com. That is where I bought mine. The juicer I use is the Tribest Slowstar Vertical Slow Juicer and Homogenizer (comes with an extra attachment for making nut butters and ice creams!). I really like this one because it has minimal parts which makes it very easy to clean, it extracts almost all the liquids so the pulp is almost dry, and since it is slow with higher horse-power than others you are getting all the liquid from each piece you put in it. Put in the most water rich ingredient in first (cucumber, apple, celery) so as to get the juicer wet for drier ingredients you’ll put in after (kale, ginger, etc). Rotate which produce you put in at a time. It can be easier on the juicer and also mixes the juice well. Wash and pre-chop all your veggies ahead of time. Don’t push down hard to get food in the juicer - let the juicer take what it can and then use the tamper lightly. Although these machines are powerful, we want to be careful with them because like anything, it can break. I plan on making this every morning now because it’s so quick and easy. Starting your day with green juice is a great way to get in healthy energy and nutrients in your body first thing. Ready to see my favorite recipe? Scroll down, my friend! Wash all produce and chop into medium-sized strips. Place each ingredient into the juicer - rotating between each one. When complete, drink up! Place extra juice in a mason jar for storage up to one day. 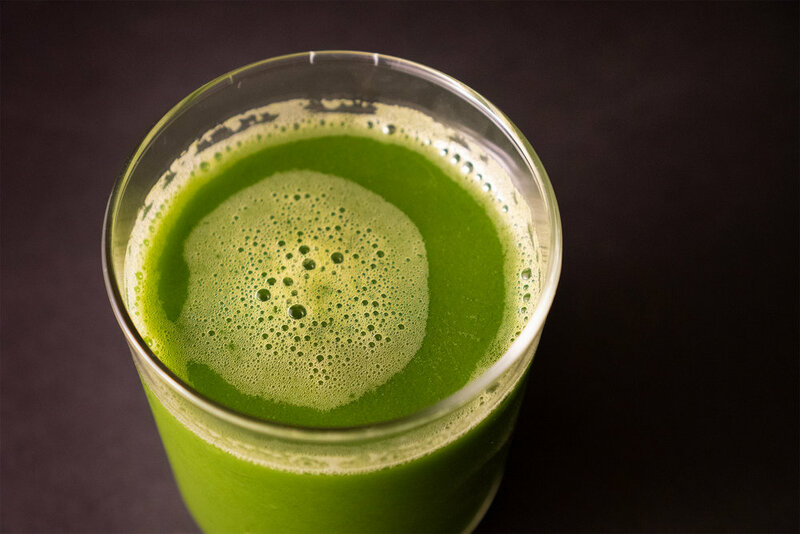 This is a just a nice, balanced go-to juice recipe. It’s versatile for dealing with people who love getting straight to the point and getting the greens in, or for those folks who need familiar sweet to get em down the hatch. Just vary the amount of apple depending on your taste/audience, and enjoy! Feels so healthy and good for the body.